If you have a chance to make it to the theater to see this, I recommend you do. When I heard they were introducing a new cast with some of the funniest ladies in the business, I got really excited. I mean, who doesn’t want a Ghostbusters with today’s special effects? And in an era of reboots and reimaginings, I appreciated that they were introducing a completely new element by featuring female leads. Best of all, yes, these ladies are Ghostbusters, but they are totally independent characters from the original. There is no legacy here, it’s a fresh start. Of course, certain elements we love must remain, which they do, but they also followed their own path to a large degree. In fact, that’s how I would describe this iteration of Ghostbusters. It’s satisfying. I laughed through the whole thing, as did my wife. It didn’t blow us away, but it was a fun date movie with plenty of laughs. Speaking of laughs, Chris Hemsworth played the dimwitted secretary, and he showed his comedic talent as well. In fact, no spoilers here, but his role ended up being much bigger than anticipated. I’ll admit that parts of the movie felt a little disconnected – there were moments it seemed to be a series of comedic skits. And while they attempted a cohesive story, it never quite achieved connectivity throughout. But, let’s be honest, I don’t think anyone shot for too much depth with this story line. Let’s not make it more than it needed to be. However, it did need to look great, and the special effects were a treat. The director, Paul Feig, is not an action movie guy, but he actually had far more adventure and effects than I guessed he would. The proton packs were fantastic, the ghosts looked amazing, and the scale of the movie proved bigger than I expected. The bottom line is that the ladies are really funny, the special effects are amazing, and the cameos were perfect. 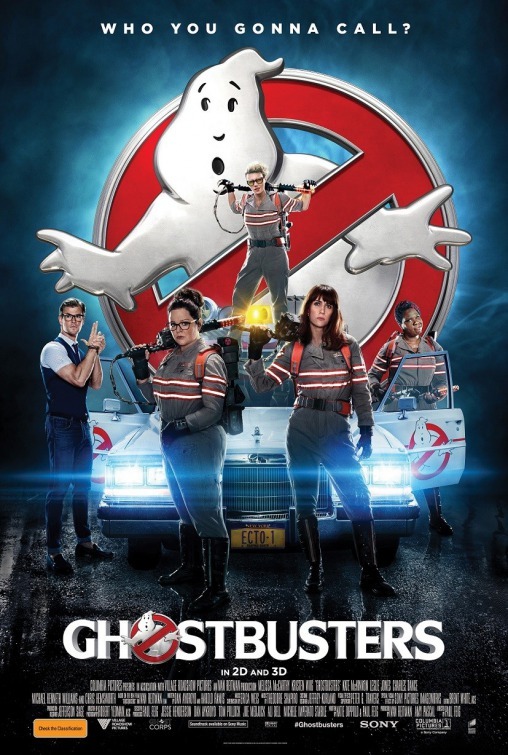 If you’re looking for a fun summer movie to take in with a significant other, Ghostbusters won’t disappoint. This entry was posted in Movie Reviews and tagged arts, entertainment, ghostbusters, movies, reviews.